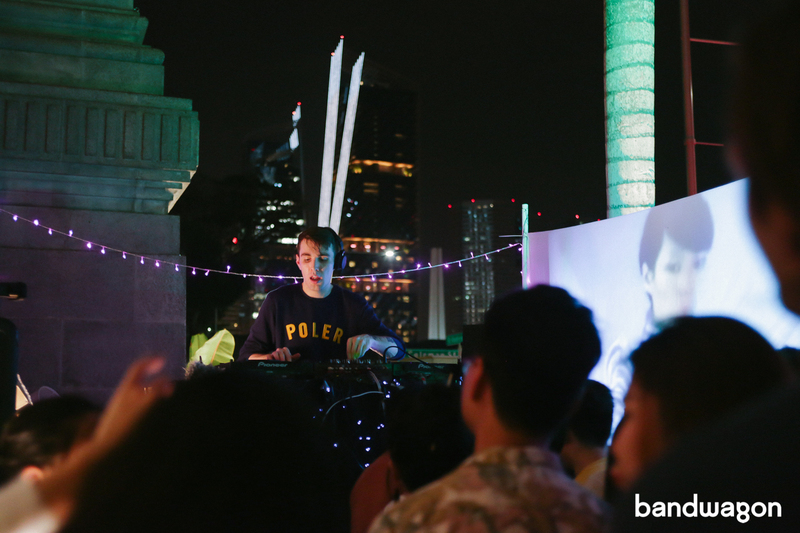 L.A.-based future funk producer Yung Bae played in Singapore for the first time last Saturday and it was nothing short of a spectacular performance that got the crowd hyped up and grooving. You wouldn’t think that Gallery & Co. at the National Gallery would be a fitting venue for a gig like Yung Bae's - let’s be honest, your first thoughts are probably “what, funk and disco in a gallery shop”? So to the surprise of many, it turned out to be a perfect spot that provided just the right atmosphere. The show took place not in the shop itself, but a small, cosy space outside with palm trees hanging over and dim lights cast against the columns of the National Gallery. 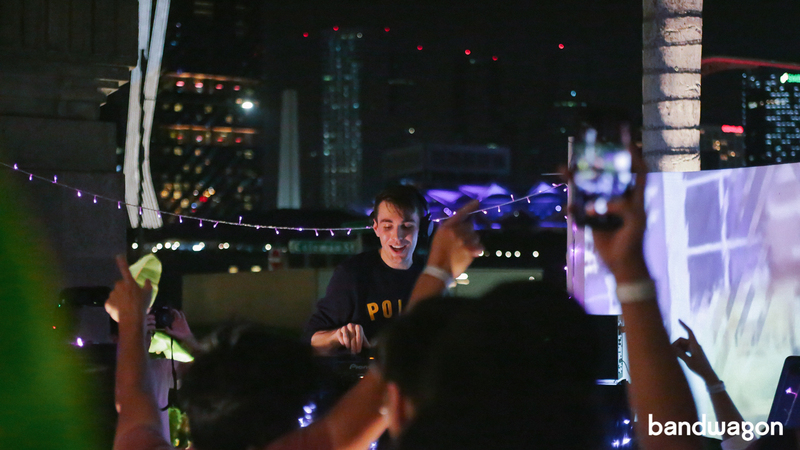 This was unlike any of the previous shows Yung Bae played on his Asia tour, which all took place in indoor club settings. And, from the surprised expressions at the entrance, it was clear that attendees weren't expecting an outdoor event. The crowd ended up sticky and sweaty in the sweltering heat just minutes into the event, which called for people fanning themselves with leaves (yes, really) and whatever objects they could find lying around, but even that couldn't stop them from dancing and getting their cardio covered for the week – Yung Bae’s addictive beats kept feet moving throughout his set that lasted well over an hour and it was nothing but happy faces and good vibes all around. The party started early with sets from Nigel Lopez and Sobs. When Yung Bae finally came on, the scattered crowd scurried towards the DJ booth. What came after was a phenomenal sight of a diverse mix of young people busting their best moves, singing the lyrics to every song and of course, passing drinks around. Halfway through the night as the sprightly ‘You’re Love’ was playing, heart-shaped balloons floated down from the second floor of the gallery that created a jubilant scene of young people, well, really just living it up. 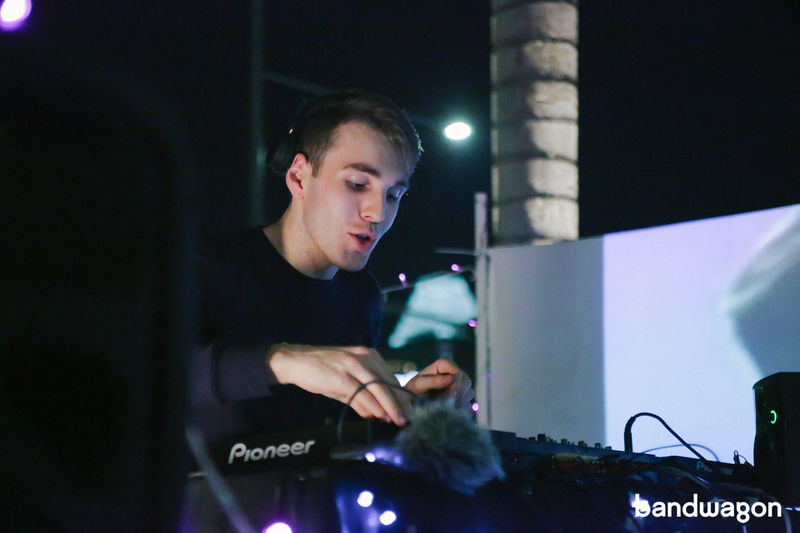 Yung Bae’s set was a vibrant mix of remixes and tracks from his 'bae' tapes, as well as Japanese Disco Edits series. You could tell how big a fan of Japanese city pop he was from the way he mouthed all the lyrics to tracks like ‘Bae City Rollaz’ and ‘Selfish High Heels’. Tracks from his latest tape B4E added a nice touch of soul to the night. Remixes of Rich Brian’s ‘Dat $tick’ and Kendrick Lamar’s ‘DNA’ were crowd favourites - those two got people jumping up and down, shouting the verses with their arms in the air. Groovy remixes of Kali Uchis’ ‘After The Storm’, and older American disco hits like Michael Jackson’s ‘P.Y.T.’ and Earth, Wind & Fire’s ‘September’ were also part of the set, which needless to say, pleased the young crowd that had a love for retro and old school jams. Despite the relatively long set, shouts for one more song could be heard when Yung Bae left the deck. That unfortunately didn’t happen, but he stayed around for pictures and conversations. It was everything you’d imagine a Yung Bae show to be - tropical and funky. The night was still young when the show ended, and the energetic millennials were quickly discussing where they were headed next to resume the party. Special thanks to Moonbeats Asia for the invite.